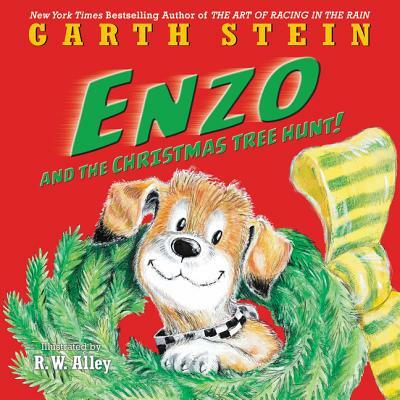 The unforgettable dog Enzo, first introduced in the New York Times bestselling novel The Art of Racing in the Rain, helps his family, Denny and Zoë, find the perfect Christmas tree in this heartwarming holiday tale. Author Garth Stein tells this touching story about the true spirit of Christmas in this second Enzo picture book. Fans of A Very Marley Christmas by John Grogan and Charlie and the Christmas Kitty by Ree Drummond will delight in Enzo's wise personality and funny antics. The family heads off to the tree farm, filled with noble firs, cider, and Newfoundlands—the biggest dogs Enzo has ever seen, who help haul the Christmas trees away on sleds. But as Zoë and Enzo search for the ultimate tree, the snow begins to fall and Zoë loses her way. When Enzo comes to her rescue (with a few of his perfect puppy howls), he proves that family is never far behind. R. W. Alley's fantastic illustrations bring the beloved Enzo to life with lots of Christmas cheer. R. W. Alley has illustrated a number of books featuring Paddington Bear. He lives in Barrington, Rhode Island, with his wife, author Zoë B. Alley.